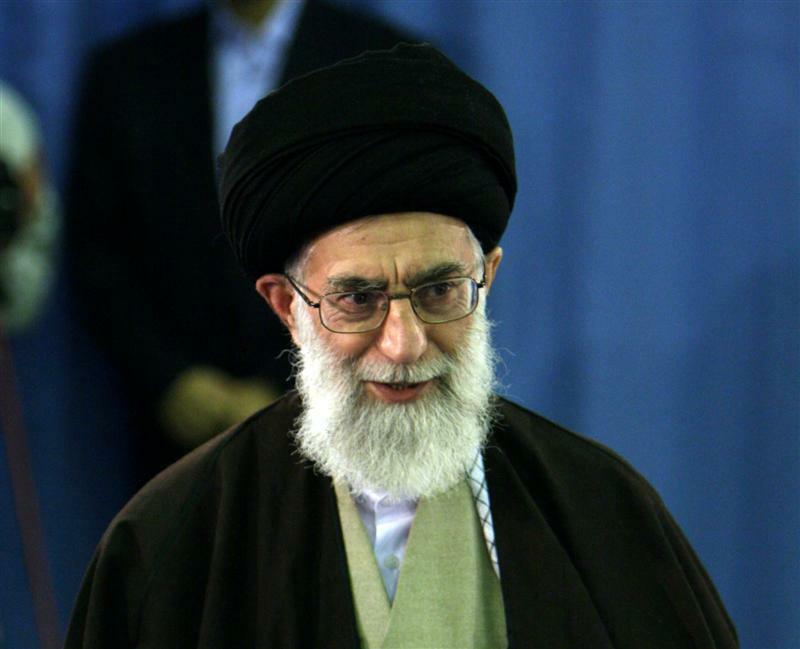 I find it most curious that some Western commentators believe that Ayatollah Khamenei’s fatwa is “well-documented”. There has been plenty written about it certainly, but I have never seen the fatwa itself written down per se or even appropriately documented in either official or unofficial literature. Except for Mehdi Khalaji’s excellent piece in the WINEP policy brief, “Nuclear Fatwa: Religion and Politics in Iran’s Proliferation Strategy”, nothing all that serious on the subject has been written in either English or Persian, as far as I know. Oral and written fatwas have historically had an equal weighting, but all I have seen are certain declarations and denials by Ayatollah Khamenei in Friday prayer sermons, and various other speeches. There are other examples, but these are adequate illustrations. To be fair in these statements, Ayatollah Khamenei declares the use of nuclear weapons to be “haram” (religiously unlawful), but it is questionable whether they actually amount to a fatwa. There are other examples, but these are adequate illustrations. We should not forget that these speeches are the speeches of the highest political authority in the land, and the speeches of a man who stands at the helm of Iran’s Supreme National Security Council when it comes to the nuclear issue. Mixing and matching his “political” and “religious” authority is a recipe for troublesome and muddled conclusions. I would say that such political declarations, insofar as they are declarations and not formal juridical rulings, make it costly for the IRI to overturn the publicly stated position not to pursue a nuclear capability. I say this because, obviously Ayatollah Khamenei has repeatedly stated that Iran is not pursuing nuclear weapons, and various members of the IRI elite e.g. Sadeq Larijani, head of the judiciary, and Ali Akbar Salehi, the current Foreign Minister, to name but a few, have publicly acknowledged the existence of Khamenei’s fatwa and declaimed that it carries the highest authority. Such statements because they have been publicly made and reiterated in the forum of world public opinion, obviously foist the IRI leadership, in the event it decides to develop a nuclear weapons capability, into a corner of sorts. In short, the IRI is to some extent constrained because of the amount of political capital and credibility invested and banked for the sake of convincing the international community that its programme is for strictly civilian purposes. Therefore, a reversal or violation of such public declarations would prove costly. However, the IRI has borne many and some very heavy costs before, and has concealed its enrichment activities from the international community in the past. The memoir of former IAEA chief, Mohammad Elbaradei, “The Age of Deception”, provides a good overview of the IRI’s past mendacity in this regard, and Elbaradei isn’t someone who can be easily accused of being inveterately hostile to the Islamic Republic. This post is merely attempting to convey the point that an unhealthy complacency should not set in on how we view Ayatollah Khamenei’s so-called “nuclear fatwa”. all what we see here we dont believe here in Germany.Nuclear Fatwa from Khamenei pressure for war in the world and lie about nuclear weapons…We have peacefull houses and minds. u just don’t get it… He says getting a nuclear weapon will not help protect Iran? And if u can’t see the logic in that, its the propaganda that is making u so illogical! He says there are those even near Iran that have many of these arsenals, and USA has thousands of them, so how can one protect us? That’s the logic, and as far as human part of it, he says according to Islamic law weapons of mass destruction are not permitted? Like Hiroshima and Nagasaki, where we dropped the Bomb, thousands of people were burned to death??? He says according to Islamic rules we can not make weapons that kill and destroy the environment so indiscriminately??? So maybe a little too much Fox news for u ? even though Iran bashing is very popular! After all we got to have a war going some where… And who better than those bad rag headed Muslim Iranians? ?